A recent installation of two timber garage doors Chorley. 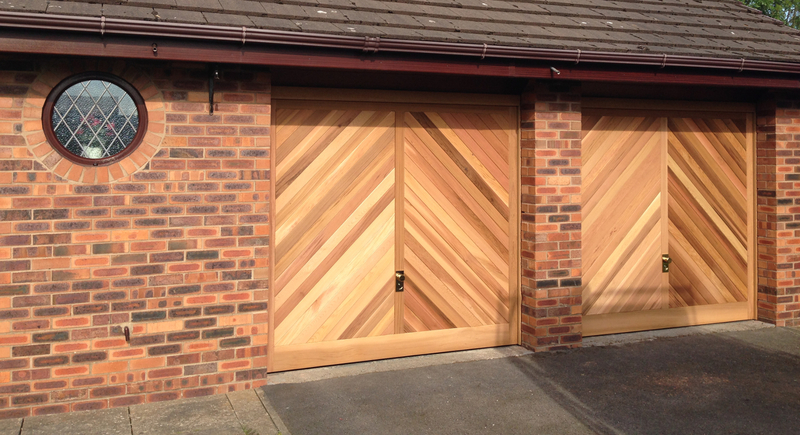 I live on an estate in Chorley where all of the houses have timber chevron style up and over garage doors. The original doors are all made from softwood. My door have been rotting at the bottom for some time which is unsightly. Also with all the water they have absorbed they have become very heavy and difficult to operate. 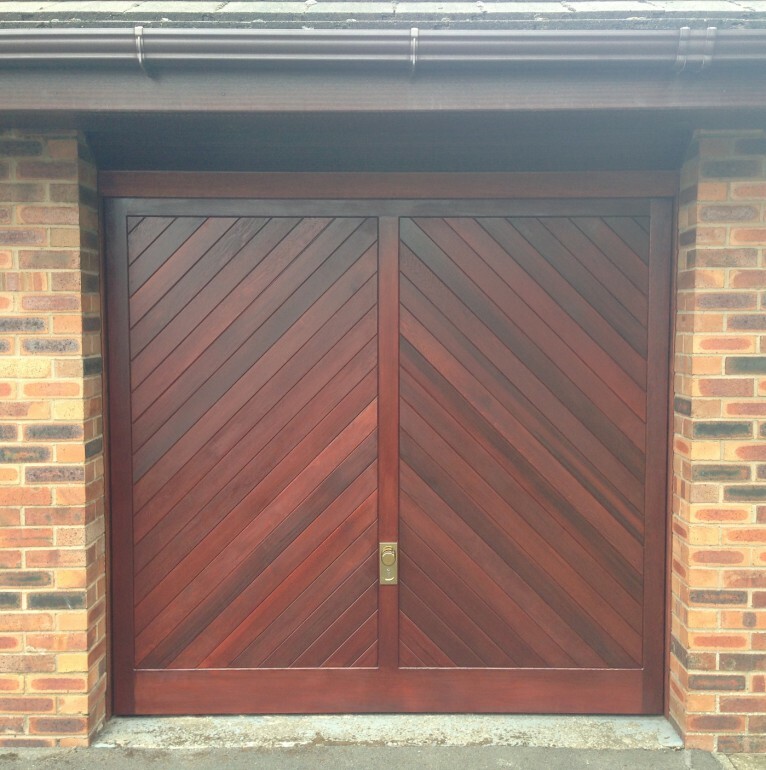 Whilst some residents have replaced their doors with steel garage doors I would like to keep mine as the house was originally designed and stick with timber. Whilst I do want timber I don’t want the same white wood that has been used on the original doors, I need something that will last much long and not be so heavy. The doors will need to match the existing woodwork on the property so I would prefer to stain them myself. The customer chose the Cedar Door Buxton up and over garage door. 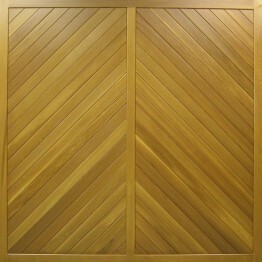 This is a traditional Chevron design similar to the original doors. 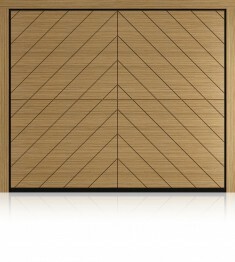 As the name suggests, all Cedar Door garage doors are made from Western Red Cedar. Cedar is a softwood but unlike most softwoods it doesn’t rot. Doors will last a very long time. 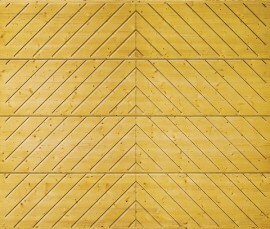 Cedar is also very light in weight which makes it perfect for making garage doors. 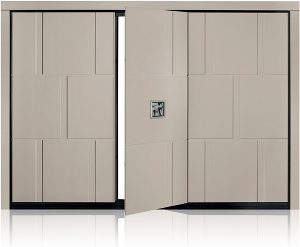 As the doors were only relatively small they consequently came with the CD 100 retractable lifting gear which is suitable for doors weighing up to 45 kg. This type of gear raises the lifting arms above wing mirror height to maximise the drive through width. As standard the Buxton comes with a black ‘T’ style handle. The customer chose to upgrade to Brass Chrome Euro Profile style handles. These make a nice feature on the door. The doors came with a full dip base coat clear stain ready to be finished on site by the customer. As well as the Cedar Door Buxton we fitted here, we also supply and install all types, makes and models of garage doors in and around the Chorley area. Our showroom is only 30 minutes from Chorley, in Garstang, we’re open Monday – Friday and can’t wait to show you the doors.